There is no bug secret to what a meat and three is. You get a choice of a meat and three sides. 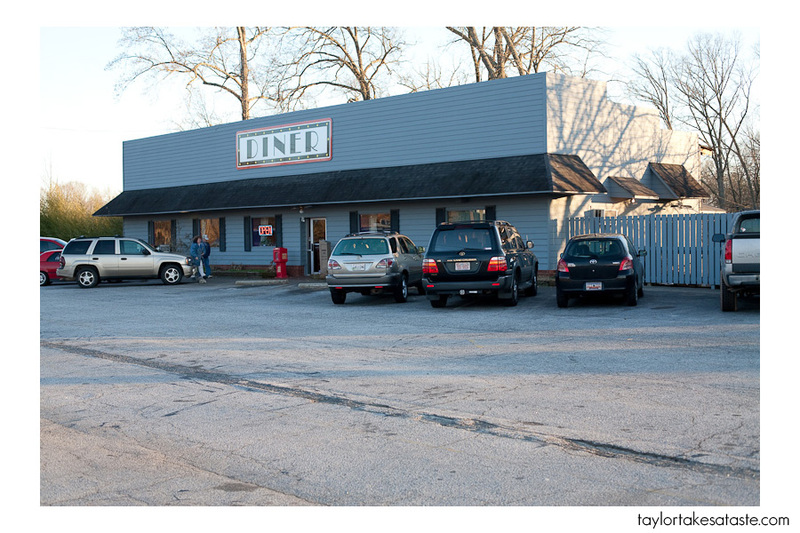 Paw’s is the place to get your meat and three in Clemson,SC. The choices of meat changes daily. On the Wednesday that I was there,my options were chicken livers or pork chop. Not feeling brave enough to try the chicken liver, I decided to give the pork chop a try. The toughest decision was deciding what three sides I would have with my fried pork chop. 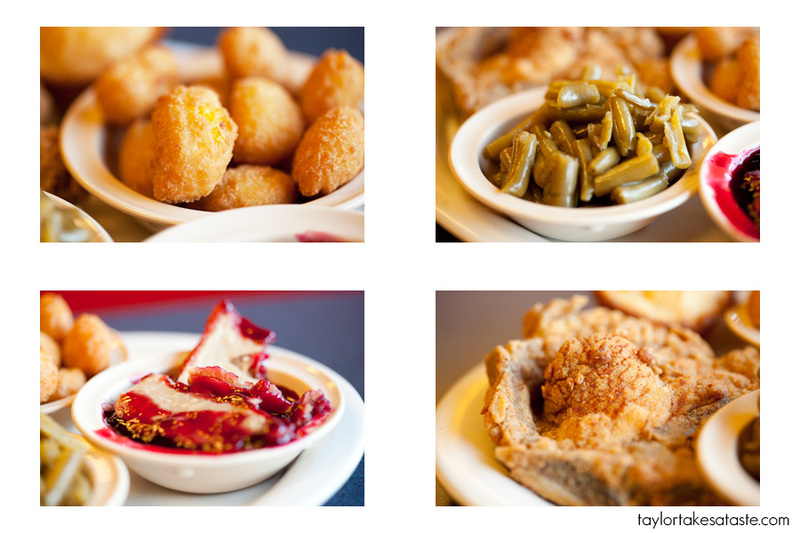 How does one choose from such southern staples as fried okra, fried squash, slaw, corn, pickled beets, green beans, mac and cheese, potato salad, rice and gravy, mashed potatoes and gravy, fried green tomatoes, pinto beans, turnip greens or corn ? Just when you think the decision could not get more complicated, you read strawberry shortcake and cobbler are available as well. When in doubt, I always turn to my waiter and ask what he would have. After our consultation I ended up with green beans (I had to have a vegetable that was not fried), blackberry cobbler, and something called a corn nugget.Corn nuggets were not on the menu, but my waiter told me I had to give them a try. I inquired, “what is a corn nugget?” His response, ” It is hard to explain. Trust me they are very good!” Well he had my curiosity. I was going to have to see what a corn nugget was. With the arrival of my food, I was ready to discover for myself what the mysterious corn nugget was. In the pictures above you can see what the nuggets looked like. I did not know what to expect, but given the fried coating on the outside it couldn’t be all that bad. After eating my first one, I understood why it was difficult for my waiter to describe what a corn nugget was. It is difficult to describe. The insides tasted like creamed corn that was wrapped in a delicious fried shell. It is not what I expected, but I was very happy with the result. It was definitely a new way for me to eat corn. The rest of the meal was just as tasty. The pork chop was lightly fried on the outside while tender and juicy on the inside. The green beans tasted like green beans, and the black berry cobbler was very good. I am a huge fan of fruit cobbler and can not wait until this spring and summer to make some of my own. I will be posting the recipe and results when I do. Does a corn nugget look tasty to you? Have you had one before? Thanks for the comment Sarah, I hope to make it to Ancheauxs next time I am in Clemson! OH MY GARSH! I have had the blessing of corn nuggets for a brief, shiny time in my life. I was working at a supermarket as a deli girl, and we occasionally stocked corn nuggets on the hot bar. I hated that job, but it did bring corn nuggets into my life, so I must look back with bittersweet fondness. I’ve been searching high and low for a recipe that comes close. I shall try yours, and I hope more than anything that this fills the corn-nugget shaped hole in my heart. Hey Kirsten, Thanks for the comment! 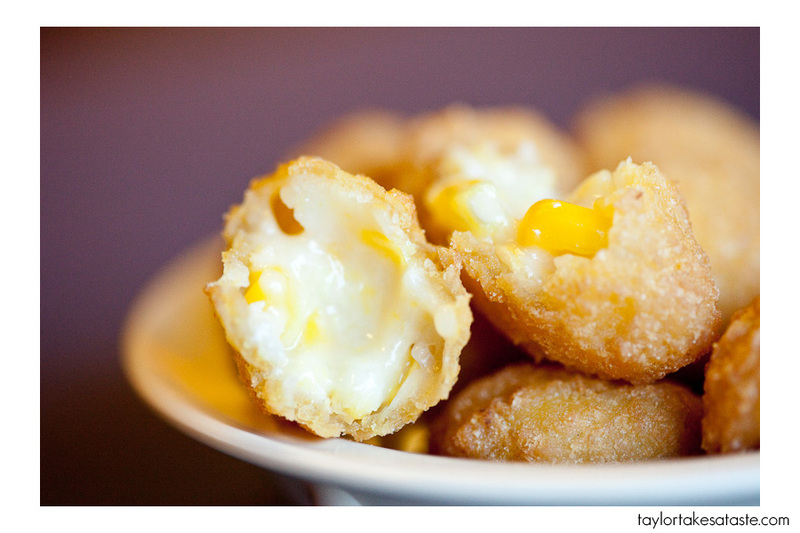 I am going to try and recreate corn nuggets! I am glad you like them as much as I do! I saw this on foodgawker and had to look since I’m originally from Pickens and you don’t normally see Clemson or Paw’s on a foodsite! Great blog! Thanks Maeghan! I had a lot of fun visiting Clemson. I like your blog as well! 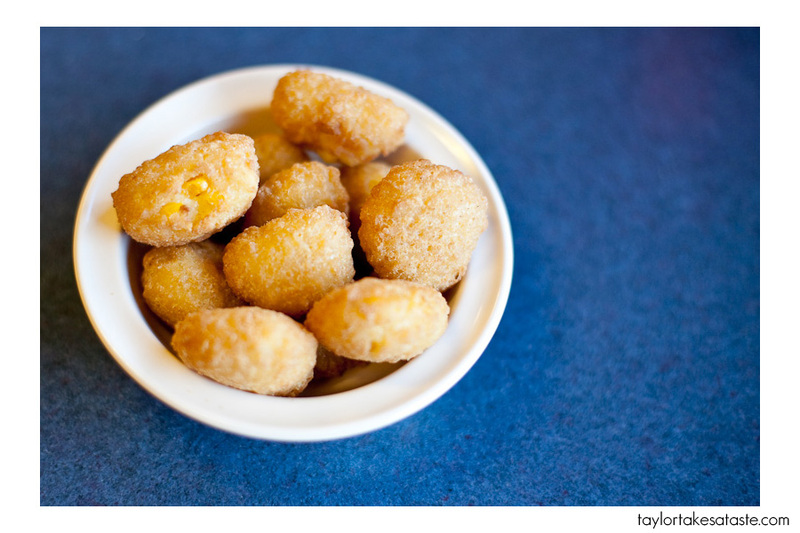 We have the deliciousness that is corn nuggets down here in Orlando, FL at a restaurant called Sizzlers. My husband introduced me to them just this year, and they are SOOOO GOOD! I saw this post and definitely want to learn to make them for my hubs! 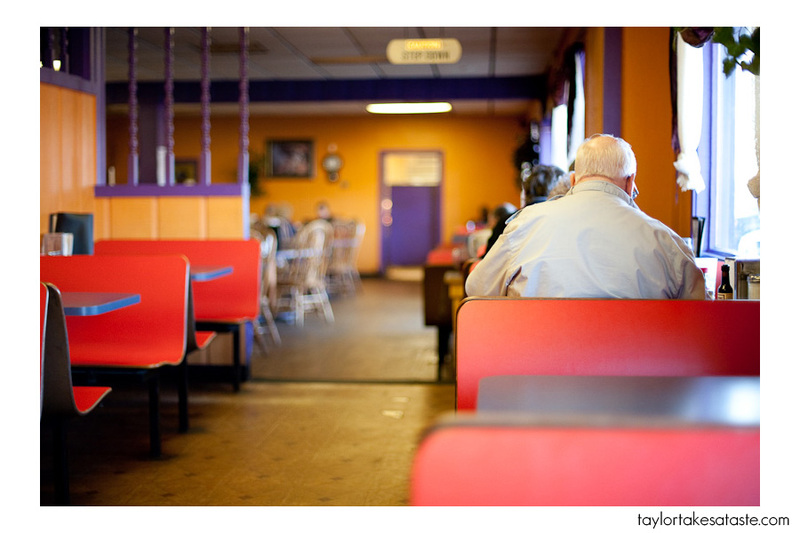 There is a fast food joint called Chicken Express (or more popularly called Chicken E) that has awesome sweet tea, but even better than that has…. CORN NUGGETS! I really want to make some! Heyy nice pic !! But wher iz the recipe..?! I cant find the recipe and my mouths watering !! Lol ! !